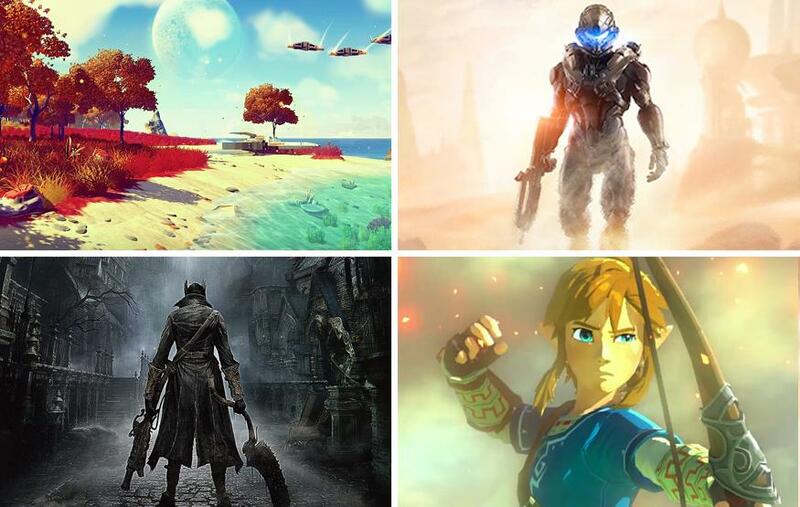 2015 looks like it will be another fantastic year for gaming. There's some huge titles from big names on the horizon, and there's also some fantastic looking independent games that are set to punch well above their weight. Here's 15 titles (in alphabetical order) we can't wait to get our hands on this year. Harmonix, of Guitar Hero and Rock Band fame, is going back to their roots with a reboot of Amplitude, one of its very first rhythm games. There's no guitar controller, but you're still pressing buttons in time to the song; the twist is you've got up to six different instruments to manage by yourself. I'm expecting to lose way too much time to this one. Bloodborne is probably the title I'm most excited about on this list. Partly because it's one of the closest to actually being released, and partly because Dark Souls II was one of my most played games of 2014, and easily one of my favourites. Bloodborne is a new title from the studio behind Dark Souls that could arguably be called a spiritual successor to the franchise. It features a similar aesthetic and core gameplay, but with faster paced combat that requires a more offensive approach due the lack of shields, and what seems to be a larger focus on melee. Code Name: S.T.E.A.M. is a new turn-based strategy from the makers of Fire Emblem and Advance Wars set in a steampunk take on London. You take the role of Henry Fleming, a soldier part an elite force tasked to defend Earth from an alien invasion, which, by the way, was founded by Abraham Lincoln. The developer's pedigree and the kooky premise is enough to get me excited about this one! Halo 5 is the next instalment in Microsoft's science-fiction shooter saga, and puts players behind the helmet of a new Spartan tasked with hunting Master Chief after he goes missing. I've spent a little bit of a time with the promising multiplayer beta, but as controversial as this might sound, I've always preferred Halo's campaigns to its multiplayer. It will definitely be interesting to see how the slightly faster-paced combat will translate to single player. Hyper Light Drifter is an action role-playing game described as super-stylised hybrid of The Legend of Zelda and Diablo. Lead developer Alex Preston said the game's world draws inspiration from Studio Ghibili movies, and his goal with the title was to replicate the experience of playing a game of the Super Nintendo. As such, Hyper Light Drifter will not feature any spoken dialogue, using visuals and music to tell the story instead. Majora's Mask is easily the darkest entry in the Zelda franchise, and arguably the most unique thanks to its "three days to save the world" mechanic. It's might not be a new title, but I can't wait to play through this one again. The new Legend of Zelda title is another game we don't have many details about yet. Nintendo has said that it will take inspiration from open-world titles such as Skyrim, and return to the series' roots, providing players with more incentive to explore. I assume you'll probably be saving a princess who may or may not be Zelda, but other than that, the only other thing we know is that the game is set to be one the best looking titles on the Wii U – well, at least in my opinion. The Phantom Pain is set to conclude the epic story that began with Metal Gear Solid V: Ground Zeroes, and completes the stealth series' transition to open-world. In addition to providing players with much more freedom in terms of how they complete missions, and in what order, The Phantom Pain also reintroduces base-building elements from Peace Walker and offers improved, responsive artificial intelligence. No Man's Sky promises an infinite, procedurally generated world to explore on foot or from the cockpit of your spaceship. If you spot a mountain, you can climb it; if you see a planet in the distance, you can fly there and explore it. No Man's Sky is certainly one of the most ambitious titles on this list, so it will be interesting to see if it can live up to its big promises. We don't know too much about Persona 5 yet, other than that its coming to PlayStation 4 and PlayStation 3 in 2015. The Persona series is a little obscure, but it's one of the more interesting Japanese role-playing titles thanks to a heavy emphasis on story and character development. The Persona franchise is itself a spin-off of the Shin Megami Tensei, a series I'd describe as a somewhat satanic take on Pokémon. Many of these elements are featured in Persona, and if past instalments are anything to go by, Persona 5 will have you spending countless hours hunting, collecting and fusing together a posse of demons. Pillars of Eternity is an isometric, fantasy roleplaying game in the style of Baldur's Gate and Planescape: Torment that promises to update the much-loved gameplay to modern standards. The title was at one stage Kickstarter's most funded videogame, beating Double Fine's Broken Age, but later surpassed by Torment: Tides of Numenera. Project CARS has the potential to be one of the most realistic driving simulators yet. Harnessing the increase in processing power that modern computers have brought, Project CARS aims to make the virtual driving experience more life-like than ever before. When coupled with amazing graphics, support for the Oculus Rift and a steering wheel controller, Project CARS could very well achieve that goal! Sid Meier's Spaceships was only just announced yesterday, but it looks to be a spiritual successor to Sid Meier's Pirates (but set in space), while simultaneously drawing inspiration from newer titles such as FTL. Given the pedigree of Firaxis' other titles, this is definitely one to get excited about. The Uncharted series is responsible for some of the PlayStation's best exclusives, meaning A Thief's End is definitely worth getting excited about. Uncharted 4 continues fortune hunter Nathan Drake's story in the franchise's next-generation debut – and if the title is to be believed – potentially concludes it. Wild Hunt is set to be this year's open-world RPG epic, and despite being the third title in The Witcher series, promises to be accessible to veterans and new-comers alike. The biggest changes in The Witcher 3 are a refined combat system and a massive new world, allegedly 30 times larger than that found in The Witcher 2. All signs point to The Witcher 3 being a huge game, and it's got me hoping I'll have finished Dragon Age: Inquisition before it comes out!